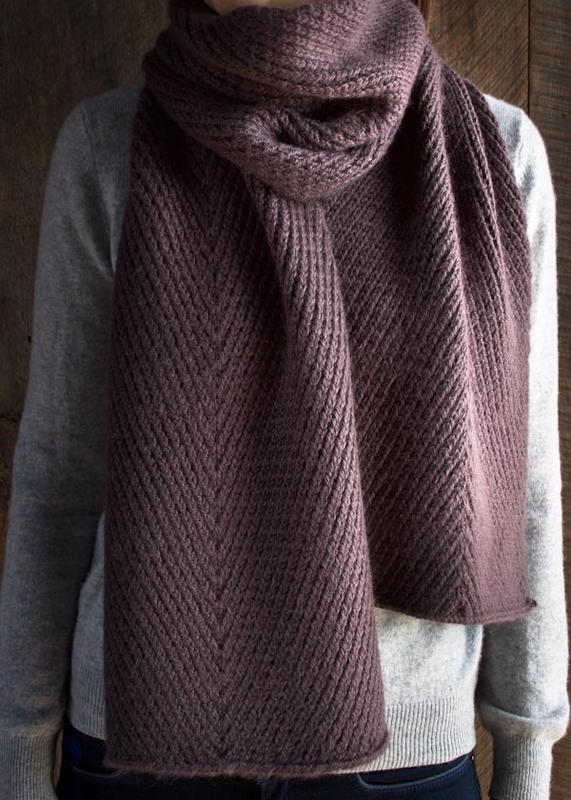 Knitting may be short on shortcuts, but our Diagonal Twist Scarf makes use of one of the rare few. 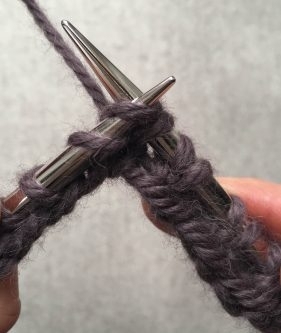 Simple twist stitches mimic mini cables without the hassle and fuss of a cable needle. 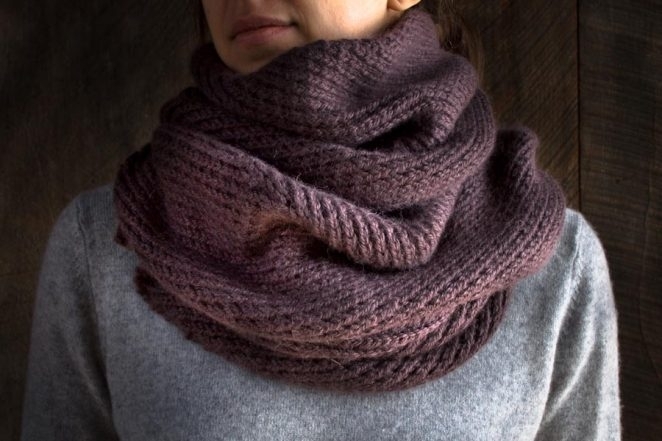 The outcome is a fascinating pattern and a truly elegant scarf! In a repeat of just four easy rows, a refined chevron motif emerges, beautiful and perfectly unisex. The resulting fabric is hearty, warm, and especially soft in Purl Soho’s Alpaca Pure. 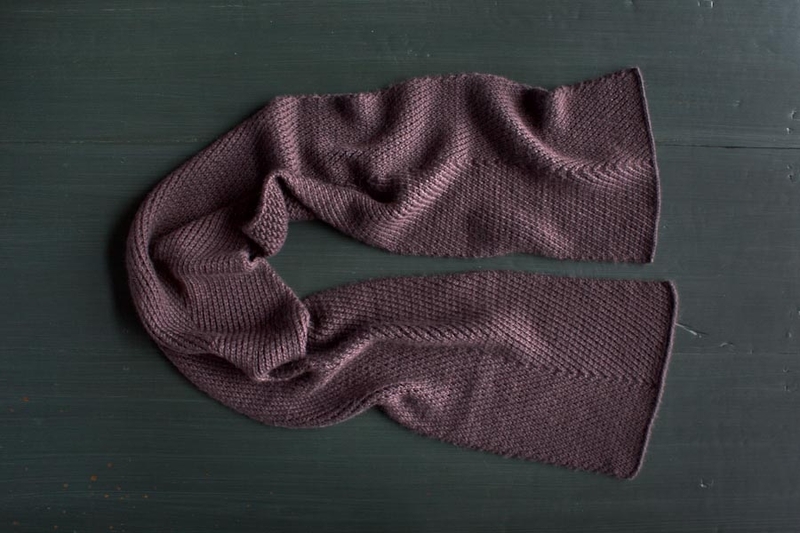 We love the color Gray Fig here, so quiet and subtle but full of personality, like the Diagonal Twist Scarf itself. 7 skeins of Purl Soho’s Alpaca Pure, 100% super baby alpaca. This is the color Gray Fig. K2tog but leave the stitches on the left needle. Knit into the first stitch again. 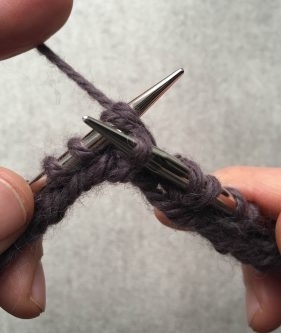 Slide both stitches off the left needle. 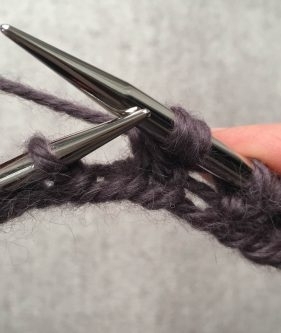 Knit into the back loop of the second stitch on the left needle but leave the stitch on the needle. 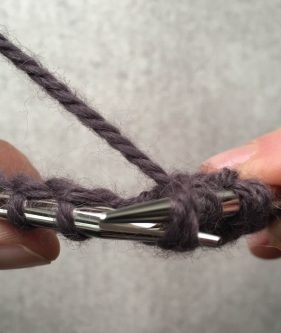 Knit the first and second stitch together through the back loop and slide them both off the left needle. Set-up Row: P33, place marker, p33. Row 1 (right side): K1, RT (see Notes, above) to marker (16 times), slip marker, LT (see Notes, above) to last stitch (16 times), k1. Repeat Rows 1-4 until piece measures 70 inches from cast-on edge, ending with Row 4. Hi, i really like this pattern but i can’t do it. Can you upload short video, please? Thank you for writing in. At the moment we don’t have the resources to do a video tutorial on this stitch. If you specify what you are having trouble with, I’d be glad to help! Hi I can’t get this going either, nor can I find it on you tube. Do you have a name for me to search on YouTube? Thanks ! Thank you for the beautiful pattern! 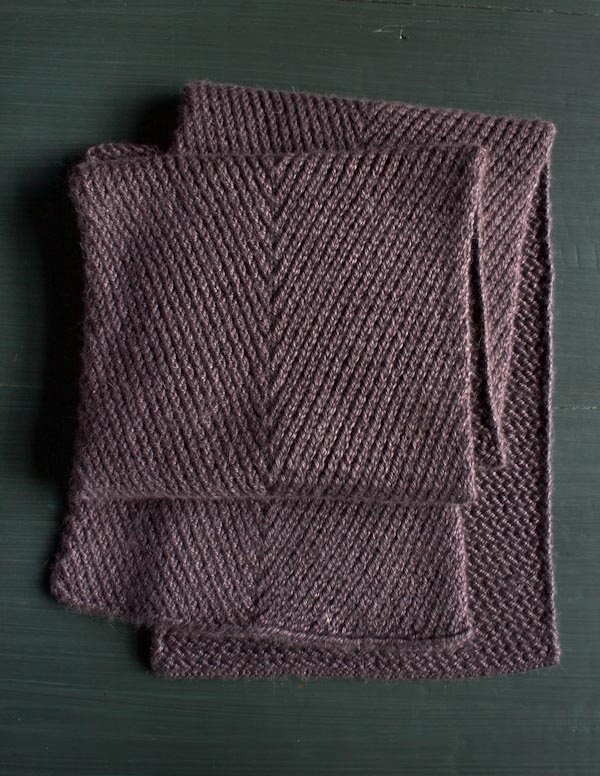 I ordered a bunch of worsted twist and after the mistake rib scarf, I am ready to jump into this! As a lefty, I am struggling with getting the left and write sides to look the same. 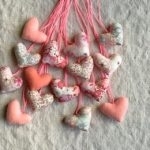 Do you know if I would do anything differently to get a twist stitch in the continental style? Are there any videos that you know of on this? 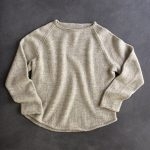 The ones I found are using different techniques than listed here. Thank you for any help! Thanks for writing in! I am sorry that you are having some challenges with this pattern! 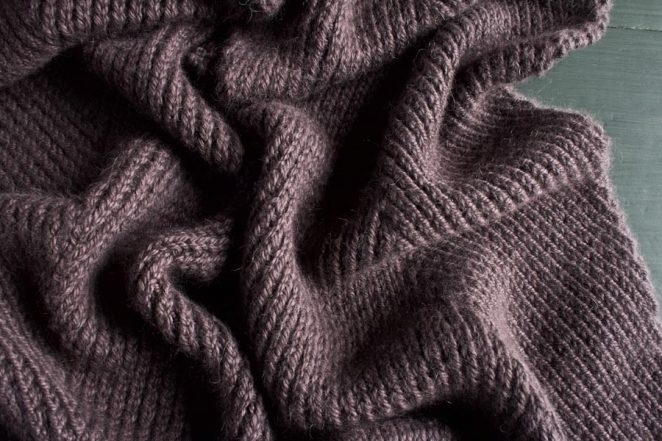 The great thing about knitting is that whether your are left handed or right handed or you knit English or Continental, you will follow the same directions and should get the same results! At the shop, we have about half and half (English and Continental) and things work out nearly identically for all of us! I would try blocking a swatch in pattern. 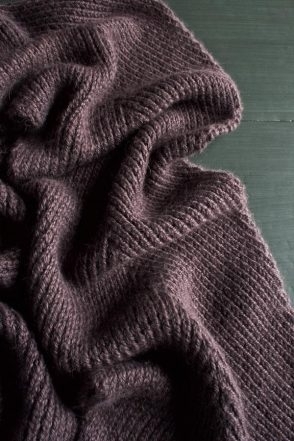 I find that stitch patterns can change dramatically with blocking and perhaps this will work for you. We do not have a video of the technique here, although the pictures can be very helpful. We will certainly keep your request in mind. Thank you! I believe I knit “improperly” (which I’m ok with). However, it was making the right side difficult. I ended up knitting into the front for the left twist, while following the pattern otherwise and worked great! Thank you again for the patterns and responses. I have learned so much from this site! 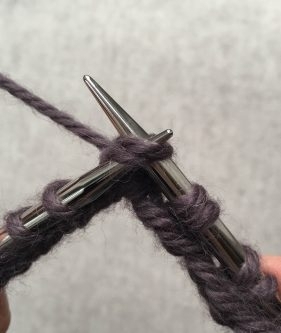 I am a fairly new knitter and don’t understand how to get started. Thanks for the question. I’d be happy to help if you let me know exactly what you are having trouble with. This might not be the best pattern for a beginner, but something you can work up to in the future. Thanks! I made this scarf for my daughter and we both love the pattern. After knitting it a few times, I finally got the hang of it. I love your patterns and ideas. Thanks for that. I also made every grandchild in the family a hat from your patterns, the Snow Day hat. 6 of them, one of each colour. The kids, and mothers loved them. Absolutely love my new scarf! 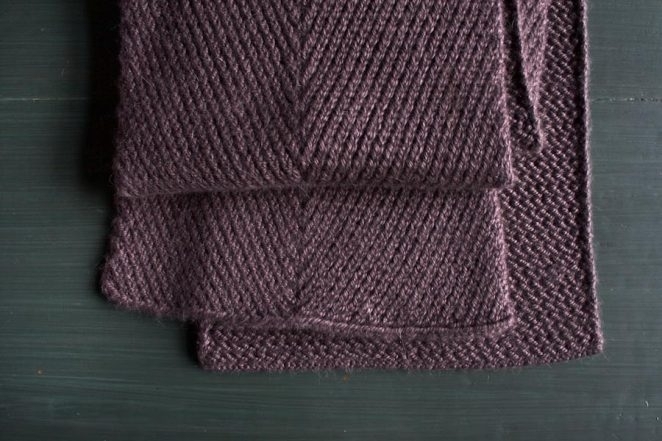 Any tips on how to convert the pattern to work it in the round, so I can knit a matching hat? 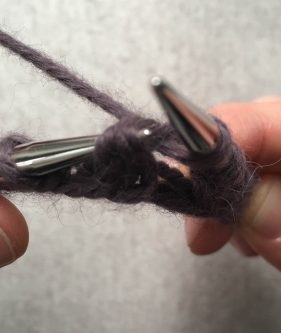 I figured I’d leave out the selvedge stitches and knit instead of purl for rounds 2 and 4, but should I alter the twist stitches in any way? I’m so happy you love how the scarf turned out! I suggest you look at our Herringbone Hat pattern for a matching hat. You’ll have to adjust the cast on amount but this pattern will guide you on how to achieve a similar look. I adore this pattern and have diligently working away on it. I do, however, have some misgivings about how flat it block it (and hold!). Even with slipping a stitch before launching into the rows, I fear it will not block flat. Any tips? Thanks for the question. 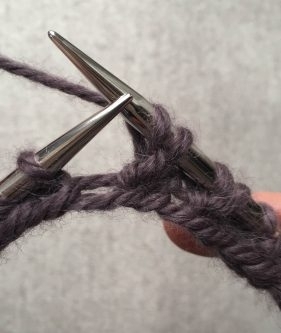 Since this is a twisted stitch you shouldn’t have too many problems with curling. Also, blocking does wonders for flatting out projects, so I would go ahead and wet block the scarf. If you are sill wary, I’d make a 4″ x 4″ swatch and block it to see if it works for you. Thanks! I have cast this and tried to do it 4 times today. I am having an awful time with the left twist. Might there be a video somewhere??? Thanks for writing in. I’m sorry you are having trouble with this! 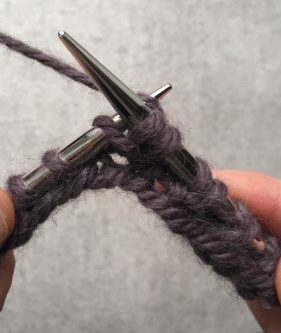 Unfortunately we don’t have a video for this stitch — only the photo tutorial — but we’ll keep your request in mind for the future. Thanks for writing in! The actual stitch pattern is worked in multiples of two but there is an edge stitch on each side. You’ll want to cast on an even number that results in an odd number when divided by two. In this case, we cast on 66 stitches, which equals 33 stitches each side of the marker. Hope this makes sense! Thank you so much for your kind words! They mean the world to us! To get an idea for the back side of the fabric, you can consult the first picture below the title of the patterns (where the scarf is laid out folded. 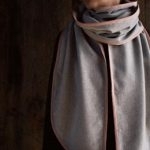 In that photo, the front side is on top and the back side can be seen on the bottom most piece of of the scarf. 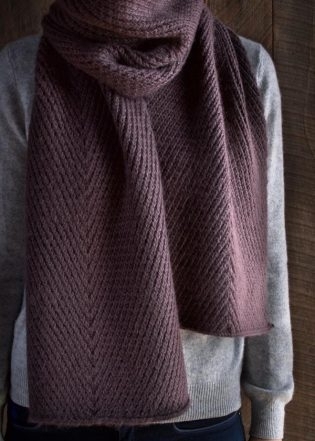 I’m thinking of making this scarf for my husband, and I noticed you used alpaca. 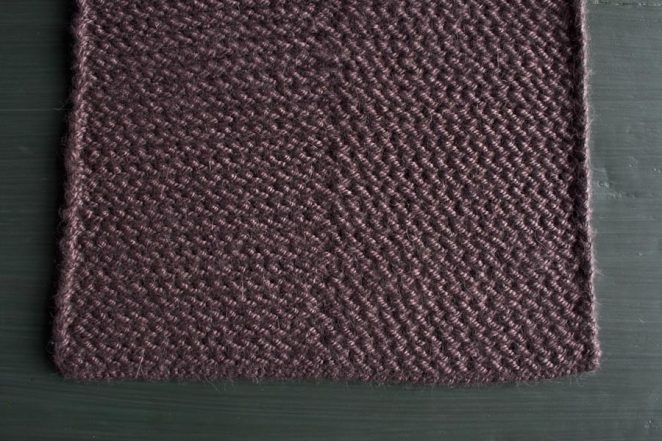 I have a worsted tweed yarn, would that work ok with this pattern? I plan on swatching it also but didn’t know if I would need to adjust with a slightly different weight. Thanks! Thanks for writing in! 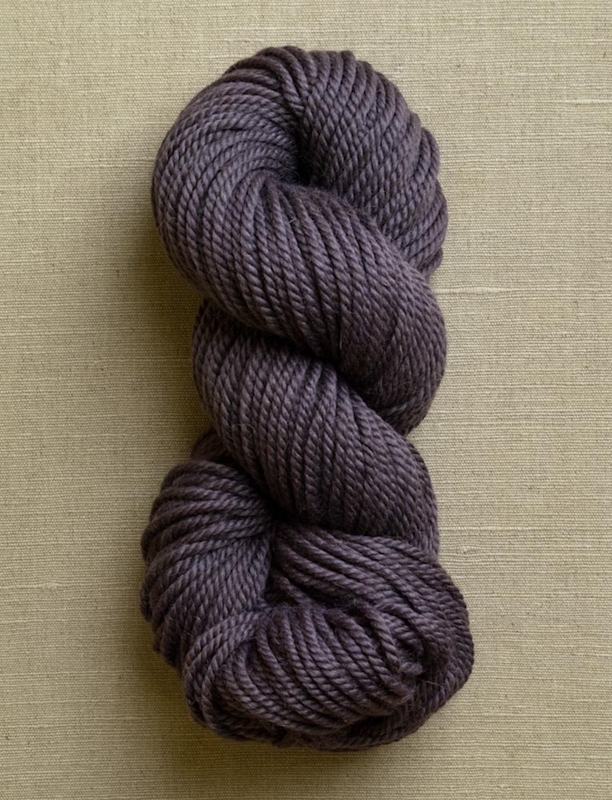 Our Alpaca Pure is a worsted weight yarn, so your yarn should work well as a substitution! 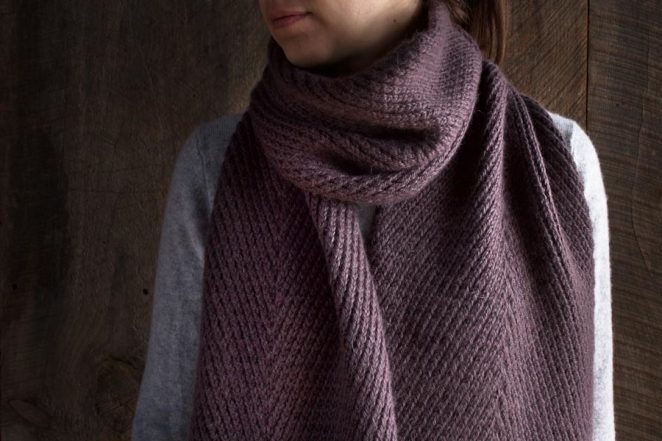 I would try a swatch on US 8 needles first and then decide if you want to size up or down based on your gauge and the density and drape of your knitted fabric. I notice that this scarf is almost all knit on the right side and almost all purl on the back side. This would normally result in a stockingette stitch, which tends to roll up into a tube. Does this scarf tend to roll, or do the twists make it lie flat? Thank you for reaching out! 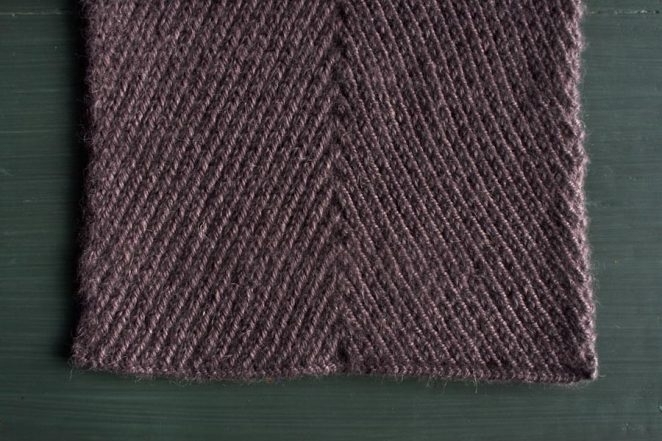 You are correct, this stitch does not behave the way that a stockinette stitch behaves and will lay flat. I hope this helps and happy knitting! Thank you so much for the lovely pattern! I just finished making this scarf for my Dad, but unfortunately it seems to have rolled up into a tube 🙁 I’m quite sad because otherwise it is very beautiful…do you have any advice for how to make it lay flat? Thank you for writing us! Our sample curled slightly before we blocked it, so I would reccomend wet blocking this project and laying flat to dry. I love this pattern, but if I need to make a vest how many stitches should I take, there is no multiples of any number. Could you be kind enough to help me in this project I intend to make, Thank you & I will be extremely obliged if you please give an advice in this matter. Thank you for reaching out! The actual stitch pattern is worked in multiples of two but there is an edge stitch on each side. You’ll want to cast on an even number that results in an odd number when divided by two. 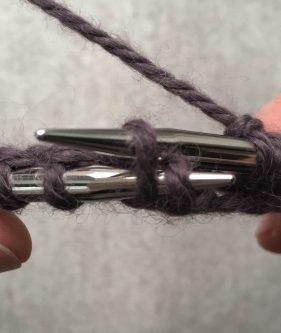 In this case, we cast on 66 stitches, which equals 33 stitches each side of the marker. Let us know how the vest goes and happy knitting!